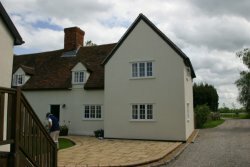 With this listed farmhouse the solid roof approach was the most acceptable. A Crucifix Georgian window made with inline sashes from our conservation range was required by the conservation officer. 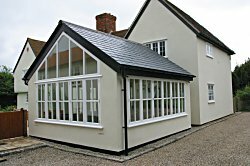 Due tothe solid roof the building needed building regulation approval as well as planning , listed building approval. 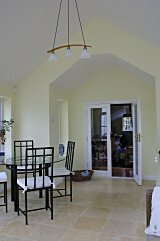 The low link corridor needed to get the roof under the upstairs bedroom window makes for an interesting feature off the rear wall inside the finished building. 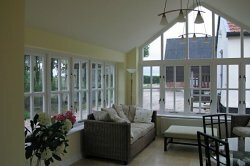 Creating a feeling of opening up as you walk from the lounge to the Garden Room. 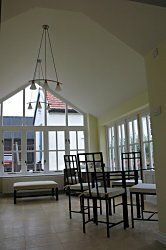 The final result is a very pleasing light, bright cheerful leisure room with much more character than a normal extension.